As South Caicos continues to become a more prevalent destination for luxury travelers, major publications have continued to take notice of the islands growing popularity. CNN Travel recently visited South Caicos to see what the growing buzz is about and were left captivated by the authenticity and beauty of the island. Home to around a thousand locals, and with no tourist traps or souvenir shops in sight, South Caicos offers a refreshing change of scenery from the more crowded islands in Turks and Caicos. “There’s nearly nothing in the way of souvenir shopping and only a handful of local restaurants. Rental cars are few and far between. So are people, outside of the main settlement of Cockburn Harbour — the territory’s fishing capital.” (Hunter, 2018). 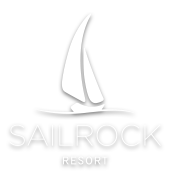 Currently the only luxury resort on island, CNN sees Sailrock Resort as a “laid-back luxury resort” with something to offer everyone. Whether it’s a diving excursion to the “spectacular” reefs just off shore, bonefishing in the “excellent” waters to the north of the island, or just lounging by the water with a cocktail in hand, Sailrock has something for every type of traveler. As South Caicos continues to grow in popularity, Sailrock Resort remains committed to working with local leaders to restore historic buildings and improve existing infrastructure. “This have always been a dream to me, and probably to many of our native people, to see South Caicos move ahead. So we embrace this opportunity.” said Darrell Forbes, chef and owner of the Sunset Café in Cockburn Harbour. “Things slow down as soon as you set foot on the island and the South Caicos welcome will be warm and friendly”, Forbes added. Hunter, Marnie. “Sleepy Caribbean Island Waking up to Tourism.” CNN, Cable News Network, 2 Nov. 2018, www.cnn.com/travel/article/south-caicos-sailrock-resort/index.html.